The days are beginning to get warmer and the grass in your yard has probably already changed from the dead brownish color it turns in the winter to the luscious green it is in the spring and summer months. 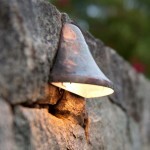 Now that your yard is looking great again, it would be great to keep it that way. Below are a list of tips and tricks to keep your yard looking the best it can during the warm summer months. 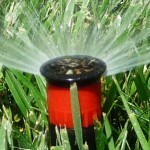 When is the best time to water your lawn? How long? How frequently? Well, if you have been watering daily, drop the hose and take a break. Watering the grass can be done as infrequently as once a week. To keep the grass looking great and healthy it needs about an inch of water per week. To determine how long that would take if you have an in ground irrigation system, turn on the sprinkler and place a container in the sprinklers path and record how long it takes to get an inch of water in the containers. If you are using a hose to water the lawn, just record how long it takes to fill a container and water the lawn for that amount of time. An in-ground irrigation system is the most efficient way to insure that your lawn gets the proper care and treatment that it needs. In addition to being the best choice for your lawn, it is also the best choice for your wallet as an in-ground irrigation system uses less water than a hose would. 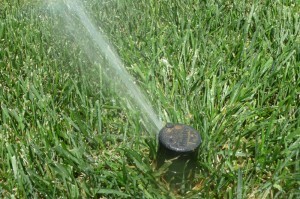 The best time to water your lawn is in the early hours of the morning. Between three and four AM to be precise. 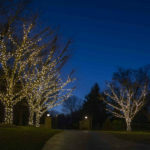 It is before the sun has risen so the sun is evaporating none of the water and this will be most beneficial for the lawn. In addition, the water pressure is the highest early in the morning. If early morning watering is not practical for you because you do not have an in ground sprinkler system, you can water the grass when you are about to leave for work or in the evening if that is more practical. The worst time to water your lawn is in the middle of the day. The sun will evaporate most of the water before it has a chance to be absorbed by the grass rendering your efforts useless. There is nothing worse for your grass during the warm summer days than being too short. If the grass is too short, on a hot summer day the sun can burn it. A good rule of thumb for cutting the lawn is you should never cut off more than 1/3 the length of the grass. Also, do not mow the lawn while it is wet. 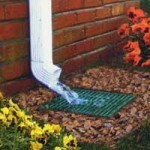 This can cause the grass to dry longer than you anticipated. 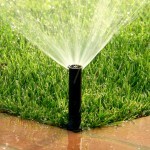 By installing an irrigation system, you’ll save time, money, and resources – so go green and get wet! This entry was posted on Tuesday, May 14th, 2013	at 7:09 pm	. You can follow any responses to this entry through the RSS 2.0	feed. Both comments and pings are currently closed.